LOS ANGELES – Los Angeles County properties could be converted to child care and preschool facilities under action taken Tuesday by the Board of Supervisors. Supervisor Hilda Solis recommended a review to determine which county owned buildings or rooms could be repurposed as early child care and education facilities and whether other properties might be used to build new centers. Calling it a growing crisis, Solis said the county is home to roughly 370,000 babies and toddlers, half of whom are eligible for state-subsidized early learning programs. But there aren’t enough spots available in state or federal subsidized programs, leaving more than 85 percent of eligible children without options, according to research by the nonprofit Advancement Project. Supervisor Janice Hahn co-authored Solis’ motion. Advocates say quality early childhood care can be a game-changer for children, pointing to research showing that 90 percent of a baby’s brain is developed by age 5. “There is an abundance of evidence … that these early years are magical,” Karla Howell of the Advancement Project told the board. Supervisor Mark Ridley-Thomas echoed that view, saying that early childhood success can ultimately reduce the number of homeless individuals or those in county jails. Child care also improves parents’ chances to find and keep a stable, higher-paying job. Supervisor Sheila Kuehl said the motion was timely, given Gov.-elect Gavin Newsom’s focus on early childhood education and development. “There has not been any attention from the state … and now it looks like it might happen,” Kuehl said. A report is expected back in 120 days. 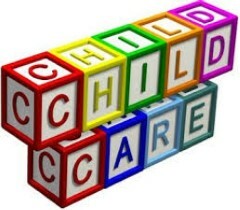 2 comments for "L.A. County properties could become child care centers"
Here is another LAC funding issue. The LACSD has a deficit forecast of $100mn due to workers’ compensation, separation pay and retiree health benefits. That’s good to hear, I been waiting for 3years to be called. If you can don’t wait and find private early childhood centers.